Your Success Is Our Committment! 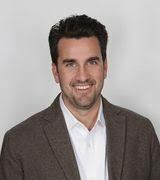 Jeffrey Lattimer Jr. is a full-time, Top Producing Agent with Lattimer Realty. Jeff is Happily Married to Patrese Terzo Lattimer and A Proud Father of Lucas,Benjamin and Zachary Lattimer. Jeff works along with his wife Patrese Lattimer to give their Clients Double the Expertise and Service. Jeff comfs from a Family of Successful Realtors with a reputation of HONESTY, INTEGRITY & PROVEN RESULTS. If You are Looking for a Knowledgeable & Aggressive Real Estate Team to Represent you, Your Search is Over! As a Real Estate Professional, I Pledge Outstanding Service & Support throughout each Real Estate Transaction Enabling Buyers & Sellers to make Sound, Timely & Secure Real Estate Decisions. I invite you to call me before you Sell or Buy your next home, you'll be glad you did! To FIND OUT WHAT YOUR HOME IS WORTH log onto www.LattimerTeam.com and click on Home Worth? We will e-mail you an estimated value along with sold comparables in your neighborhood. Jeff can be reached directly at the Office (973) 226-1717 or ANYTIME by CELL at (973) 768-2942.